We see that the off-diagonal potentials produce explicitly a direct interaction between and spin components in this - coupled equation. The off-diagonal potentials consist of the exchange-correlation potential and the other contributions such as spin-orbit interactions. Thus, if the direction of the spin is specified by the Euler angle ( ), the -matrix in Eq. (4) is given by the conjugate transposed matrix of Eq. (15). where is a unit matrix. where the real spherical harmonics functions are denoted by , , and for -, -, and -orbitals, respectively. where . In this Eq. (101), although off-diagonal occupation terms in each sub-shell are taken into account, however, those between sub-shells are neglected. This treatment is consistent with their rotational invariant functional by Dudarev et al., and is a simple extension of the rotational invariant functional for the case that a different U-value is given for each basis orbital indexed with . In addition, the functional is rotationally invariant in the spin-space. In this simple extension, we can not only include multiple d-orbitals as basis set, but also can easily derive the force on atoms in a simple form as discussed later on. where and are the double counting corrections of LDA- and U-energies, respectively. It should be noted that in the full and dual the of the site can affect the different sites by the projector potentials Eqs. (123) and (124) because of the overlap. Considering and , the first and second terms in Eq. 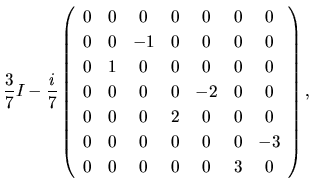 (127) can be transformed into derivatives of the overlap matrix. The third term in Eq. 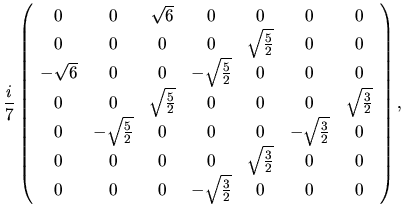 (127) means that only the differentiation for the overlap matrix is considered, And it is analytically differentiated, since it contains just two-center integrals. 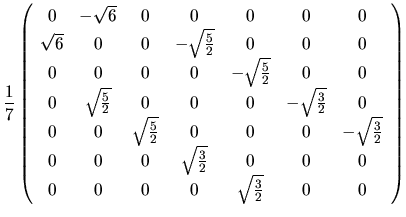 It is noted that the expectation values of in terms of the real harmonic functions are purely imaginary numbers. The unitary transformation for the other -components can be found in a subroutine 'Set_Comp2Real()' in 'SetPara_DFT.c'. Thus, one can obtain the matrix representation for in terms of the real harmonic functions. U. Von Barth and L. Hedin, J. Phys. C: Solid State Phys. 5, 1629 (1972). J. Kubler, K-H. Hock, J. Sticht, and A. R. Williams, J. Phys. F: Met. Phys. 18, 469 (1988). G. Theurich and N. A. Hill, Phys. Rev. B 64, 073106 (2001). J. J. Sakurai, Modern Quantum Mechanics.